← Wednesday 22nd July 2015 – I’ve got a blister on the palm of my hand. 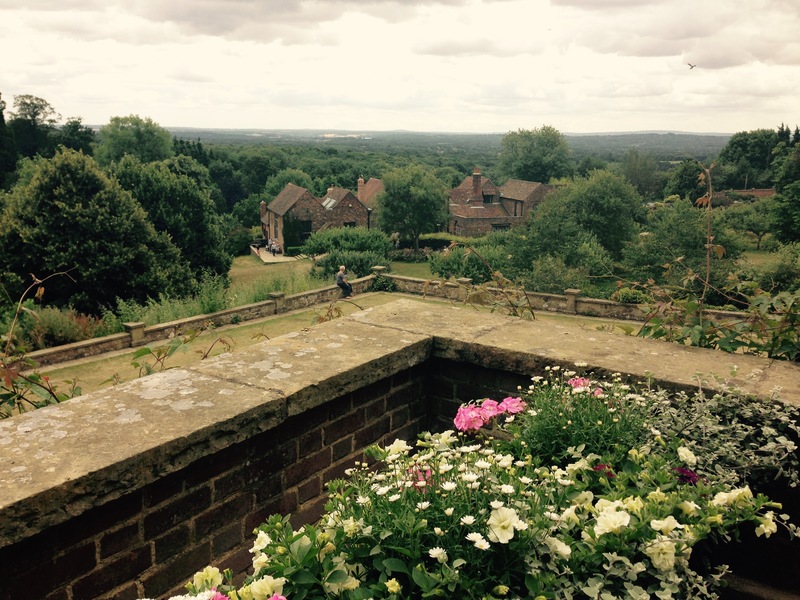 Thursday 23rd July 2015 – Chartwell. Today I took the kids to another National Trust place but this time we went to Chartwell. It’s the family home of Winston Churchill. After walking miles and miles on Tuesday, I promised the kids that we wouldn’t be walking anywhere near as far today. Oops! The estate is very big, so there was a lot of walking to do. Still it didn’t seem that far, because we had lots to look at, and there were benches at frequent intervals to sit down on if your little legs were a bit tired. We arrived just before lunch time, and when we’d wandered round to find the right place to sit and have our lunch it was lunch time. A very friendly Robin kept coming to say hello. It was very brave and kept resting only a couple of feet from where we were sitting. 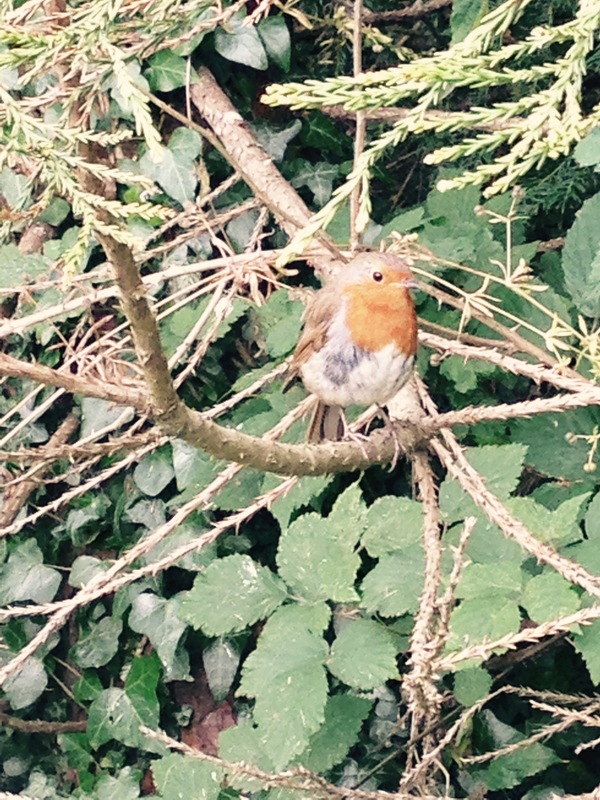 A very friendly Robin and no Christmas card in sight. After lunch we wandered around the grounds, looked in the various lakes (George didn’t fall in!!) We saw the Croquet Lawn, but didn’t play. As we walked past it George said “Cricket”, I said, “No it’s croquet”. We bounced back and forth with this for a while, but he meant that he could hear a cricket insect, not the sport! Once we’d sorted this little bit of confusion out we went looking in the house. We’ve been in here before, and I saw an old Radio Times from 1938 priced at 2 pence. It’s gone up a bit since then and is now £2. You weren’t allowed to take any photos in the house, and I was holding my phone because it’s quite a tight fit in my jeans pocket. Twice I was asked to turn my phone off and put it away. I wasn’t using it!! I tried to explain that this was the case, but being as the volunteers were rather on the elderly side, they didn’t understand that I couldn’t turn my phone off in it’s case, and it goes off automatically. After this I hid it under the map they gave us as we walked round. Lady Churchill’s terrace. What a beautiful view. Once we left the house we found an old bomb crater where a bomb dropped during the Blitz. Must have made a massive explosion because the crater was huge!! Then it was on to the Sweet Chestnut Coppice and then onto the vegetable garden where there were so many wonderful fruit, flowers and vegetables were growing. 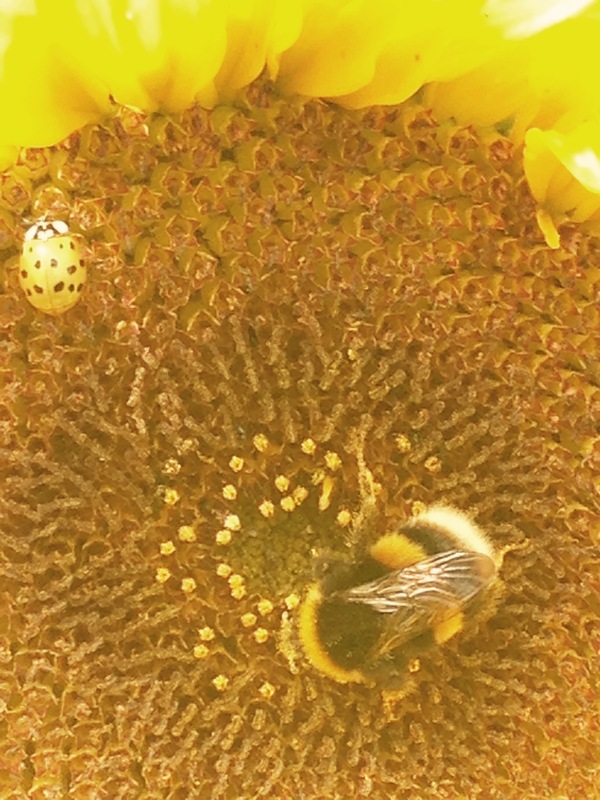 On a sunflowers I saw a bumble bee collecting pollen and a lady bird minding it’s own business. Now play nice there is enough for everyone. George got to have a go on the many tree swings that they have, and then it was time for an ice cream before we started our journey home. It was a very pleasant day, and only about 25 miles away. That’s another one ticked off the list of places I want to visit this year. We’ll all sleep well tonight. This entry was posted in Uncategorized and tagged Chartwell House, claire's allotment, Winston Churchill. Bookmark the permalink. 2 Responses to Thursday 23rd July 2015 – Chartwell. Even I get confused sometimes.